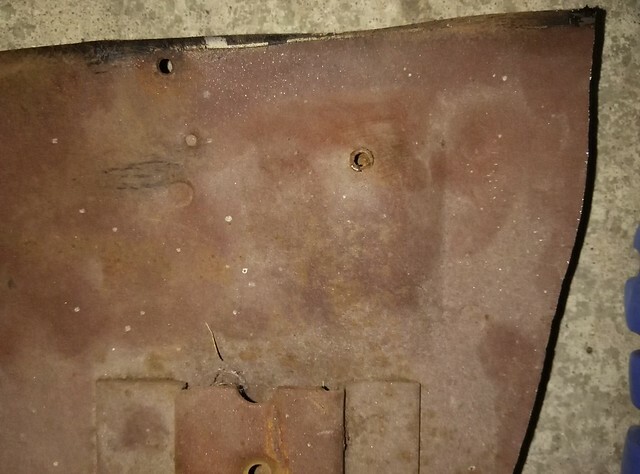 Dimple or hole on original floor pan? 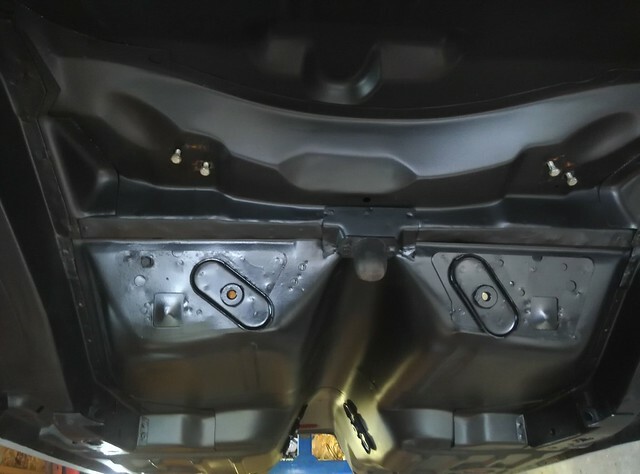 On the rear section of the floor pan just below the rear seat there are the two reinforcement plates that the seat belts bolt to. 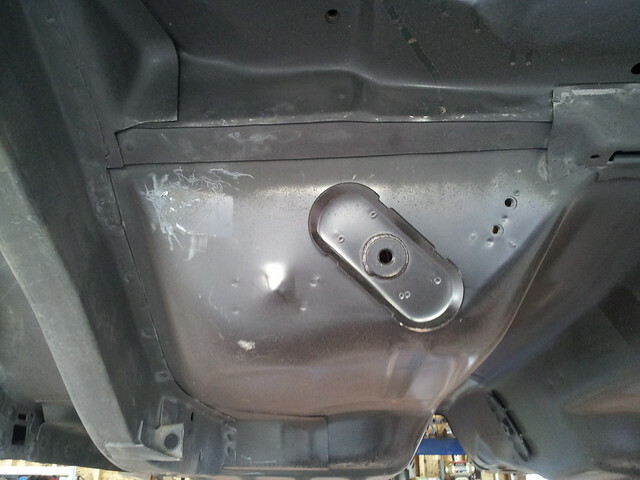 There is a small captured nut on the drivers side that I believe one of the brake line clips bolts to from the outside. 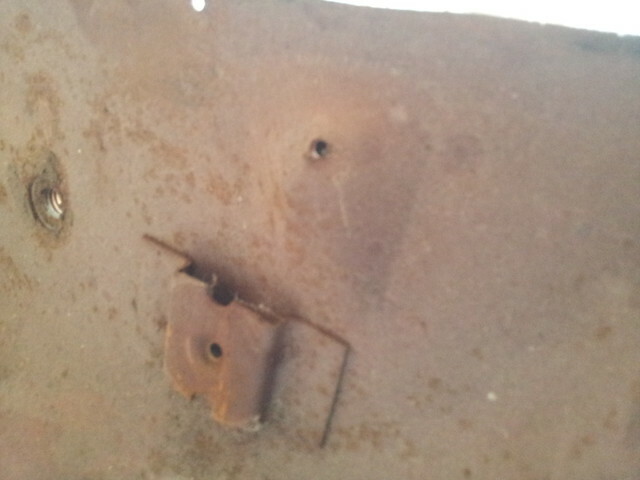 Were the original floors dimpled to allow room for this nut and bolt or was there a hole stamped in this location? I am at the point of welding the originals onto an aftermarket one piece floor and want to duplicate how the factory did it. 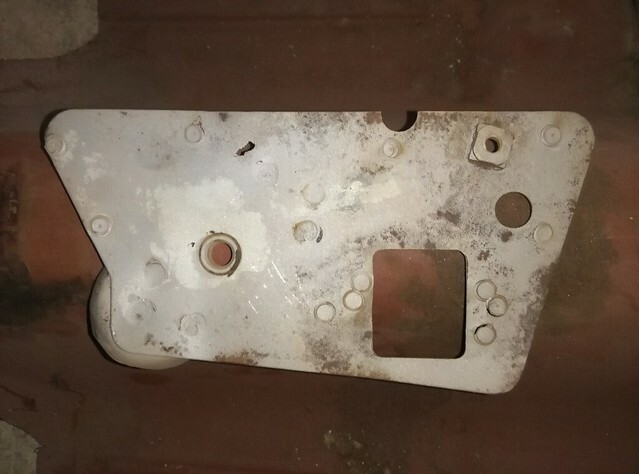 Anybody have an original floor car they can look at to tell me what was original? 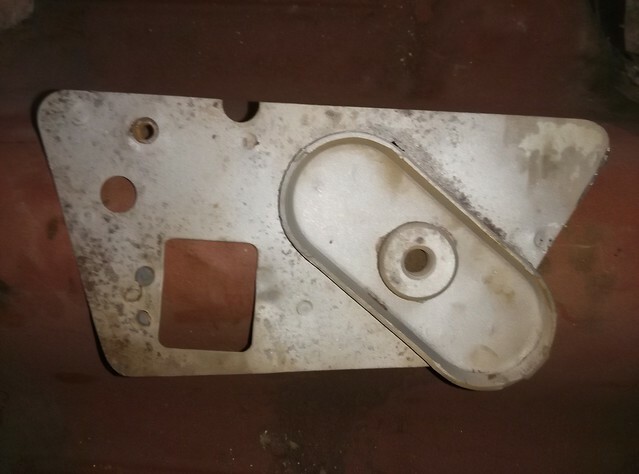 The nut and bolt are shown on the pics. 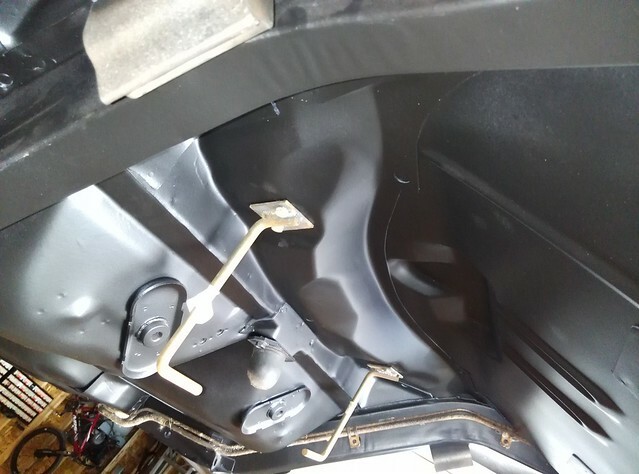 Re: Dimple or hole on original floor pan? I apologize this is on a 1969. It's dimpled. I recreated it on mine by carefully using an air chisel with a blunt rounded tip. 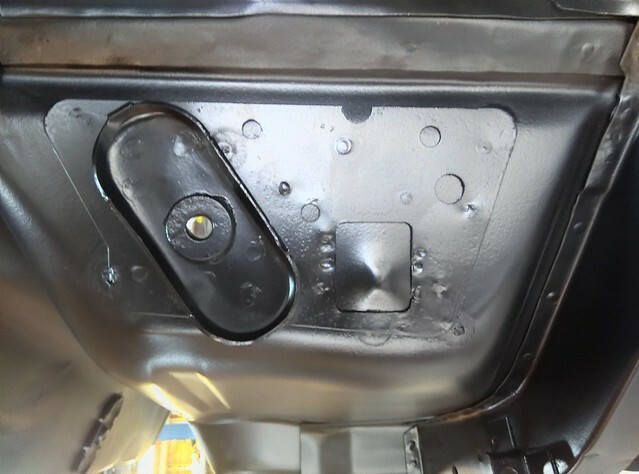 I couldn't believe the a/m floor pan was so different in this area. Not even an attempt at being like the original. Other than that area, it was pretty nice. Someone had used a screw that was too long at one time and poke through. Dave you are the man! Those pics from inside the car are exactly what I needed. It looks like we are of the same page with our restorations. 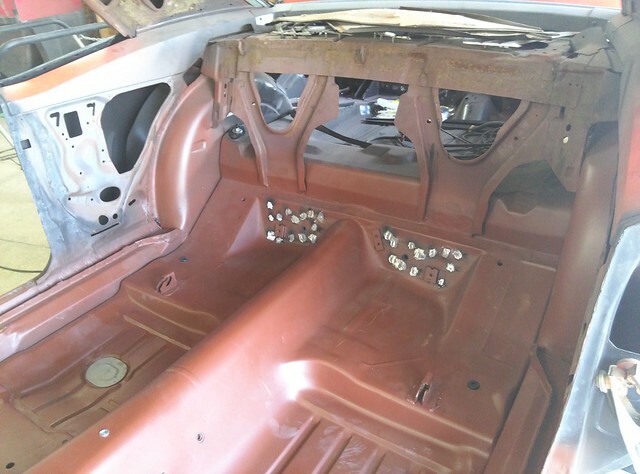 My car is nothing special but I have basically removed all the reinforcing panels from the replacement floor and am reinstalling the factory pieces. 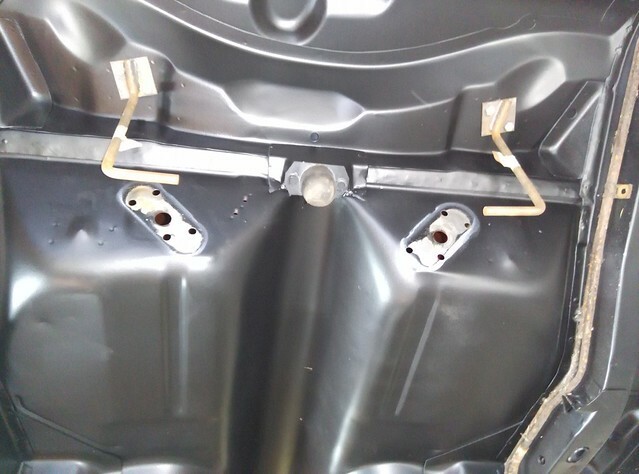 I have already recreated the dimples for the seat back bolts. My original pan had a dimple that was shaped like a pyramid with a flat top so I fabbed up a punch of the same shape and got creative with my shop press and a block of wood to recreate the shape. I am also reinstalling the factory rear torque boxes for a more original look.